Acrok DVD Converter is the best DVD converter software which can easily convert the DVD files to all popular video and audio formats with top video and sound quality, such as MPEG-4/H.264 MP4, AVI, MPEG, WMV, MKV, M4V, RM, QuickTime MOV, MPG, Xvid, Divx, 3GP, FLV, VOB, ASF, SWF, DV, MP3, AC3, AAC, OGG, FLAC, etc. Meanwhile, the Acrok DVD Convert software provides the easiest and fastest solution to help you watch DVD movies on iPad, iPhone, Apple TV, Surface, Ultrabook, Nook HD, Galaxy Tab, Kindle Fire HD, Transformer Prime, Archos 101XS Tablet, Acer Iconia tablet, PS3/PS4, , Xbox 360/Xbox One, Wii, Popcorn Hour or other portable devices. You can also easily convert and edit DVD video files in Window Movie Maker, Sony Vegas, Adobe Premiere Pro, Avid or other editing software. It"s also handy to compress and upload DVD to YouTube, Facebook, Google, Yahoo or other websites. How to convert DVD via Acrok DVD Converter? 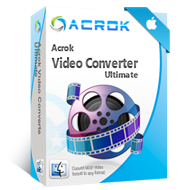 This page will show you how to convert DVD to any video format via Acrok DVD Converter on Mac and Windows. How to convert DVD to Android supported video format? Want to play DVD movies on Android devices? Acrok DVD Converter is a best DVD to Android Converter for converting DVD to H.264 MP4, you can play the converted videos without any problem. 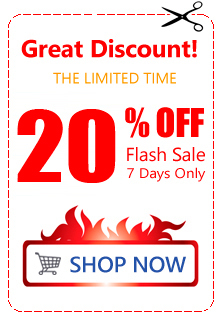 How to backup DVD to Hard Drive? Watch DVD boxsets on your computer? This article recommends a sound DVD to hard drive copy software with Acrok DVD Converter. How to load DVD files into QuickTime? This article describes how to convert DVD to QuickTime movie on Mac OS X using an easy-to-use DVD to QuickTime converter. How to edit DVD in Premiere Pro? Want to edit DVD movies in Adobe Premiere Pro? Simply follow this article to convert and import DVD to Premiere Pro on Windows and Mac OS X (Mavericks). How to import DVD into Final Cut Pro X? If you want to import VOB files to Final Cut Pro X or FCP 7/6 for smooth editing, you need to convert VOB to FCP X compatible video format first. Here is how. I can convert DVD to H.264 MP4 for my iPad, thanks so much. Recommend for the speed of converting, incredible fast that save my time.